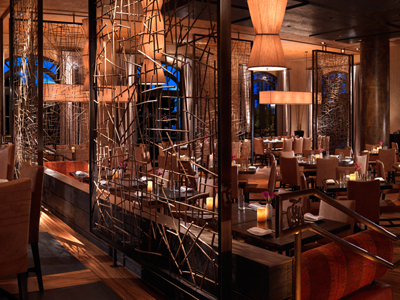 Allow yourself to be treated to award-winning Chef Akira Back’s traditional and modern Japanese entrees. 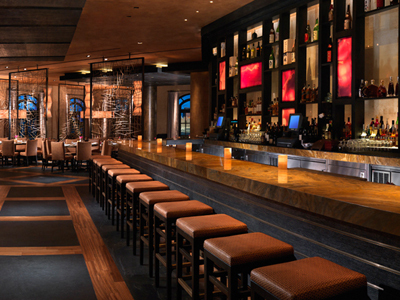 The atmosphere is exciting with its sleek, fresh décor that overlooks the famed Bellagio Fountain. The menu will excite you too, offering perfectly prepared sushi, steaks and tempura. Allow yourself to be treated to award-winning Chef Akira Back’s traditional and modern Japanese entrees. The atmosphere is exciting with its sleek, fresh décor that overlooks the famed Bellagio Fountain. The menu will excite you too, offering perfectly prepared sushi, steaks and tempura. Try the outstanding tuna pizza for an innovative interpretation of pizza. 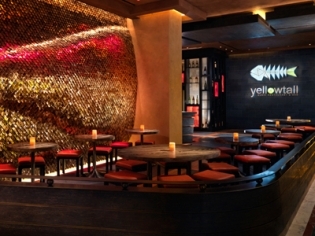 The bar at Yellowtail is celebrated for its sake collection. If you try the sushi here, you will be back again. So fresh and unique with the popping spicy crab roll and the baked crab or shrimp hand roll. Ask for a patio table where it is quieter and you can view the fountain show! The OmaKase menu is $150 for seven courses. The food is very fresh and tasty here. It is a bit pricy but I think the food and atmosphere is worth it. Great to sit out front and people watch while you have a drink. The Crab tempura appetizer thing was amazingly good. The sushi was tiny and just ok. I’ve had better elsewhere for half the price. Wouldn’t go back with all the other choices in Vegas.